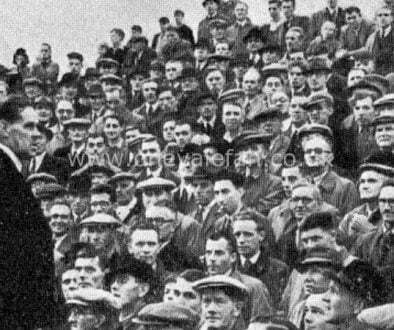 For a long period Vale success against Walsall were few and far between. 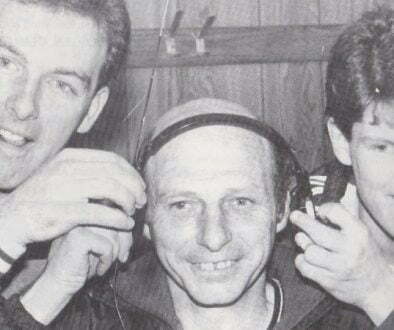 When Vale won in 1986, it ended a run of TWENTY EIGHT winless matches stretching back to 1964. So, it’s no wonder the 4-1 victory is fondly remembered by all involved. The picture shows popular midfielder Jon Bowden scoring Vale’s third goal. The others came from Andy Jones (2) and Robbie Earle. 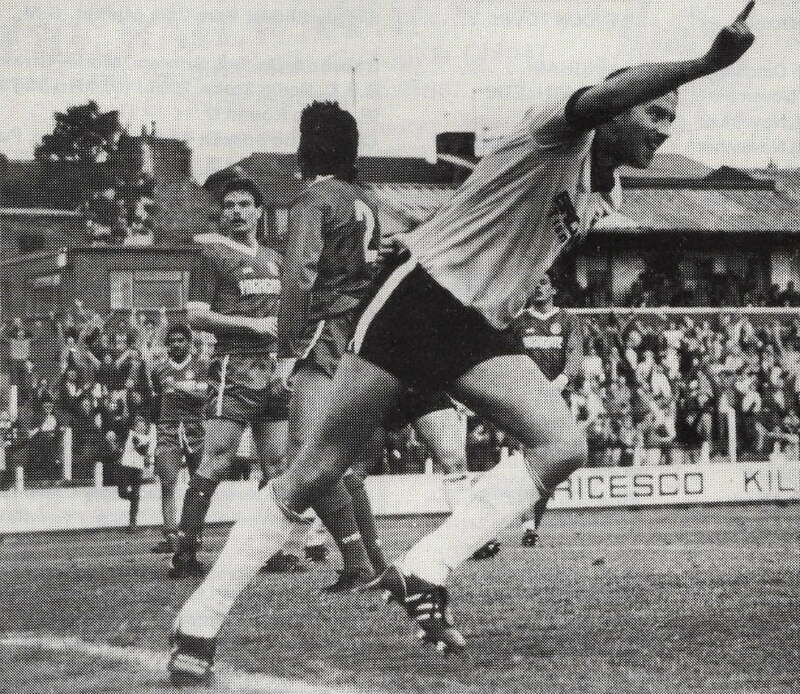 Bowden arrived in 1985 and spent a two year spell at Vale Park making 86 appearances and scoring seven times before switching to Wrexham. 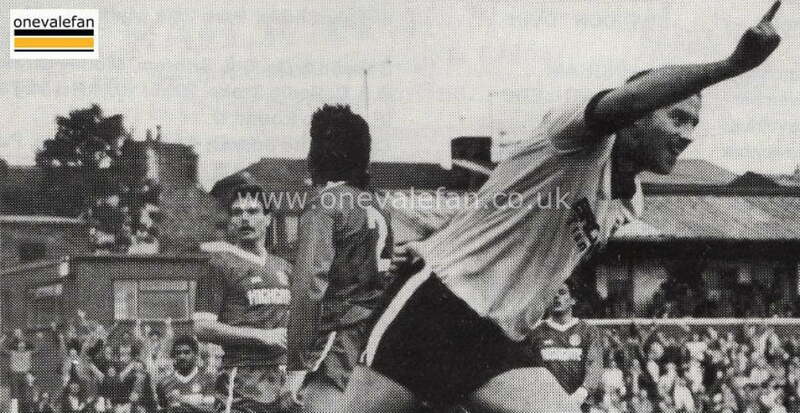 He won promotion with Vale in 1985-86.